Welcome to Somadyn, the exclusive U.S. distributor of Syntrax high-quality protein powders and dietary supplements in the Sports Nutrition, Health and Medical markets. If you are interested in carrying Syntrax products in your retail store, gym, fitness center, training business or medical facility, please contact us at 866-766-2396 or sales@somadyn.com. Originally established in 2004 in America’s Heartland, Somadyn was created to fulfill the market's desire for high-quality, economically priced, designer health products. In an industry rife with over hyped products that are often over priced and tend to under perform, Somadyn recognized the rarity of the Syntrax® commitment to provide innovative health food products at the best quality and lowest price possible. In turn, Somadyn approached Syntrax® about distributing their line of protein powders and dietary supplements. With common ideals of value, integrity and long-term growth over short-term gain, the marriage of the two companies was a natural one. Together the companies prove that you can be a leader in the health products industry without compromising your core values. Currently located in Cape Girardeau, Missouri, Somadyn’s warehouse and offices are centrally established to efficiently service national clientele and reduce overall shipping costs. Somadyn continues to prove itself as one of the fastest-growing and well-respected distributors in the industry. While currently Somadyn showcases only Syntrax® products, in the future, Somadyn plans to feature multiple product lines. Please take a moment to check out the different Syntrax® products available. 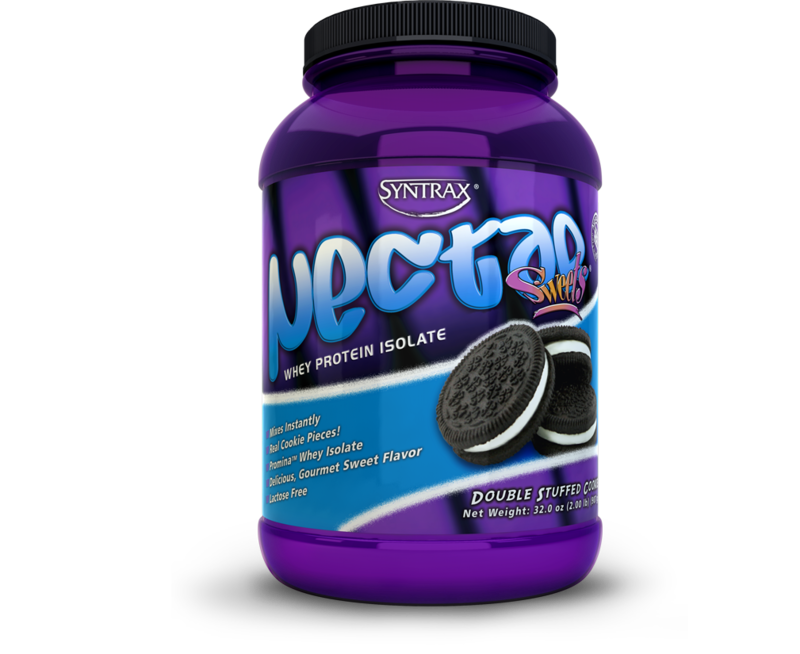 We feel that from the product taste to the ingredient quality, Syntrax® offers the best and highest-quality products on the market. 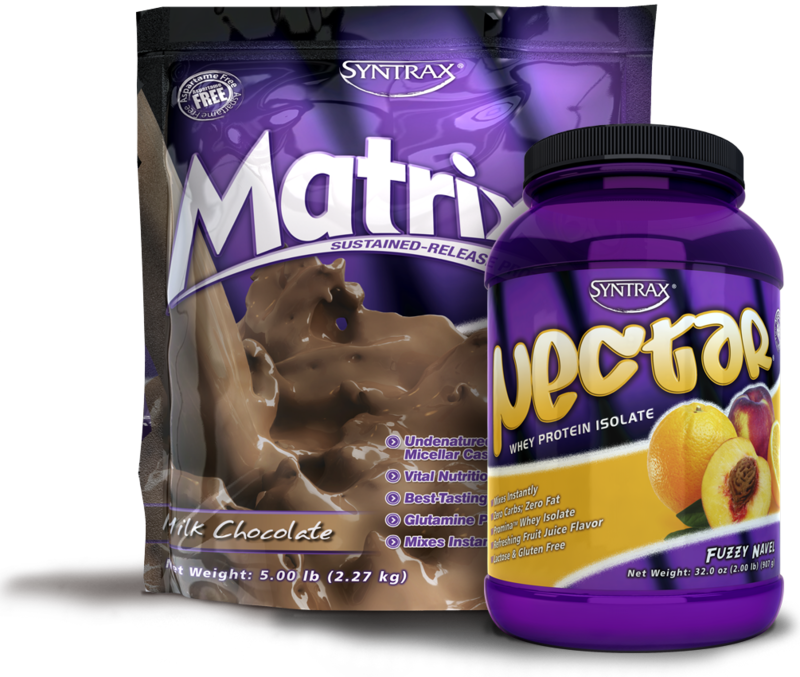 Check out all that can be gained and lost from using Syntrax® to help you meet your goals. es•sence (ˈesəns), n.: that quality which constitutes or marks the true nature of anything. What qualities mark the true nature of a perfect protein powder? We asked this question when developing Essence™. We realized rather quickly that run-of-the-mill protein powders could never measure up to the true nature of a perfect protein powder. Those “ordinary” protein powders contain only one source of low-quality protein, clump when stirred into liquid, contain a ton of fat and sugar, taste terrible and produce a chalky or gritty mouthfeel. On the other hand, the qualities of a perfect protein powder are instant and complete spoon mixability in liquid, a combination of several high-quality protein isolates, zero sugar, zero fat and a taste and mouthfeel which can only be described as heavenly. Focusing on each of these characteristics, we developed a protein powder that has all of the qualities that mark the true nature of a perfect protein powder. 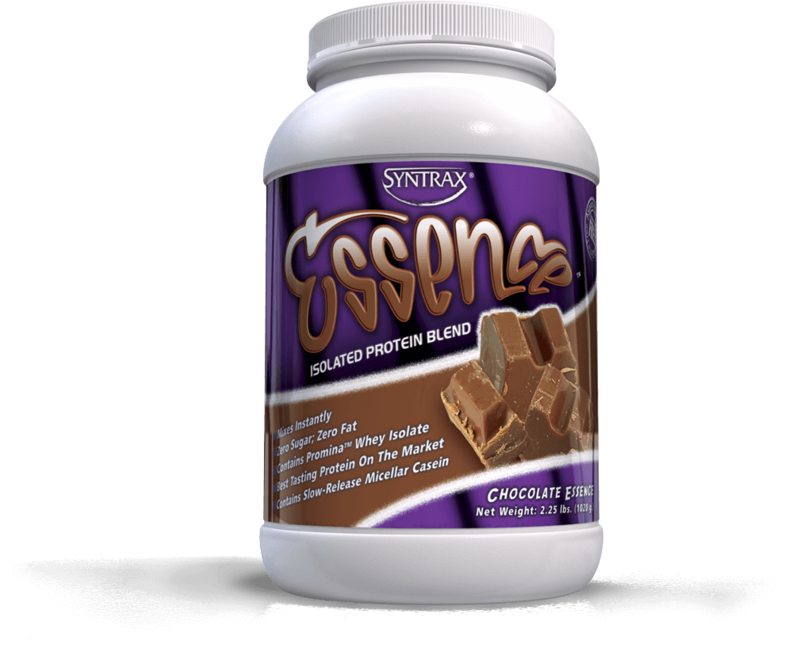 The name of this protein powder is none other than ESSENCE™! 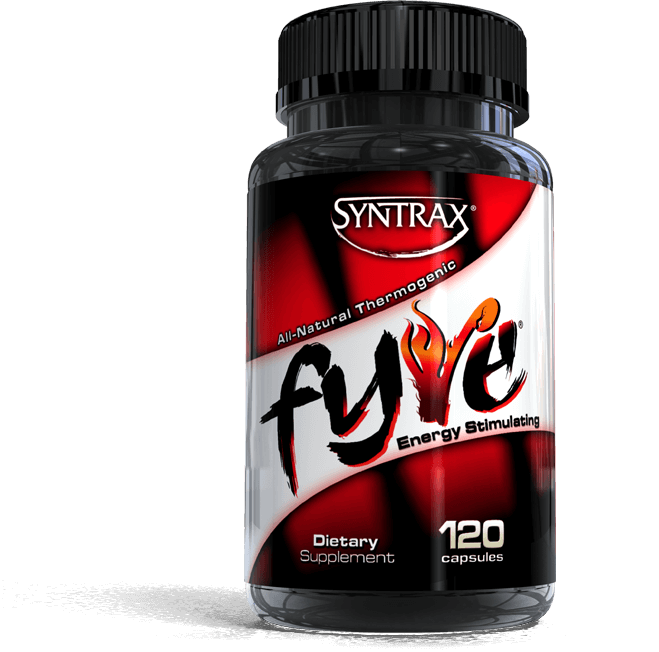 Fyre® is the premier, all-natural dietary supplement that supports your metabolism for optimal fat loss in a manner that is healthy and safe.  Its effects are dramatic and noticeable. Fyre® contains nothing artificial, including ingredients, colors or additives. Guggulsteroids have been shown in studies to maintain normal blood lipid levels, support a fine skin texture by decreasing the appearance of blemishes and optimize thyroid gland function (thus supporting ideal fat loss and body weight). 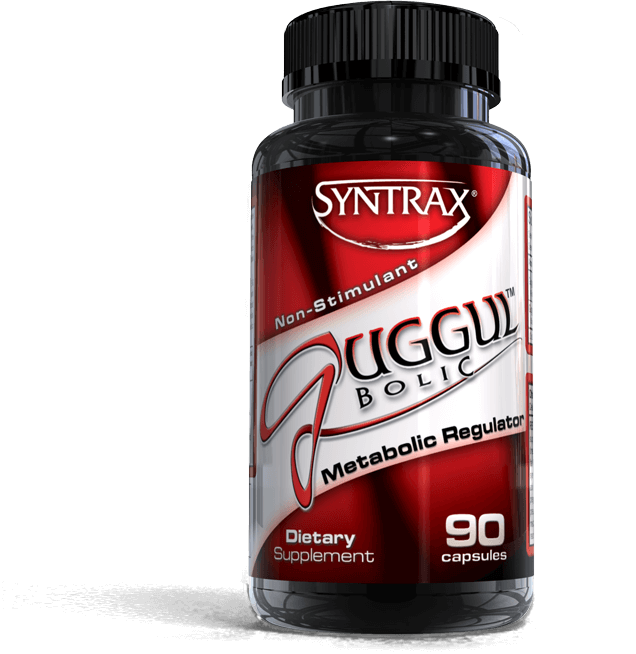 Guggulbolic® combines 30mg of pure E & Z guggulsterones along with a special, dark brown guggul extract which is standardized for an ultra-potent 6% TOTAL guggulsteroids and which conforms to all Ayurvedic standards. MacroPro™ is a convenient nutritional beverage that is engineered to perfectly replenish precious nutrients that are lost due to exertion, such as strenuous exercise. 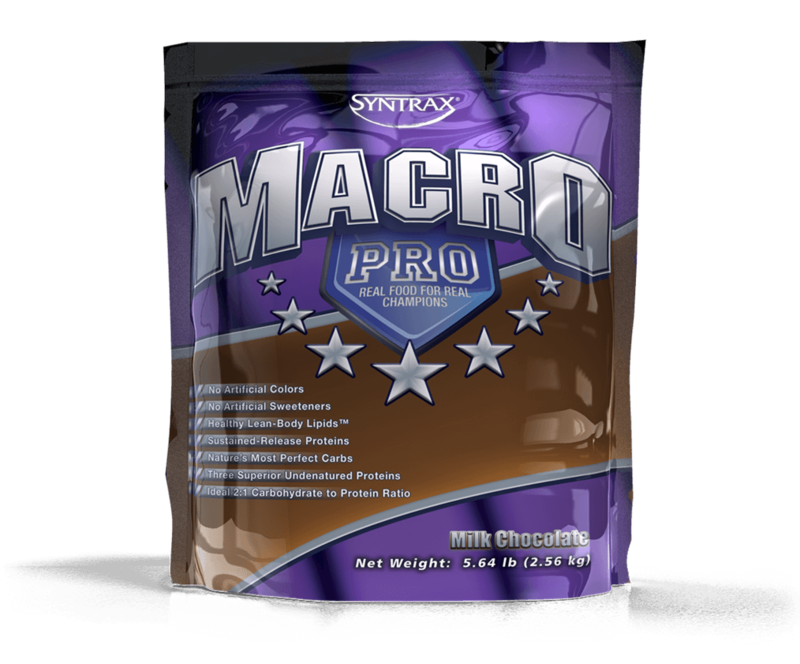 For good reason, MacroPro™ has been called the “perfect food” due to its high-quality ingredients and ideal fat:carbohydrate:protein ratio. Instead of containing low-quality, unhealthy lipids, such as synthetic trans fats (partially hydrogenated oils), palm kernel oil or soybean oil, MacroPro™ is infused with high-quality, healthy lipids, such as medium-chain triglycerides (MCTs) and high-oleic sunflower oil (similar to olive oil). These Lean-Body Lipids™ feed the body with essential macronutrients without overstimulating the creation of unwanted adipose tissue. In a similar way, MacroPro™ contains only the most valuable proteins in human nutrition, such as undenatured whey protein, undenatured micellar casein and undenatured egg albumin. Not only are these proteins superior for total body recuperation and repair, but they “feed” the body continuously by acting in a time-released manner. Whey protein is considered a fast-acting protein, while egg albumin and micellar casein are considered medium and slow-acting proteins, respectively. Finally, MacroPro™ contains no inferior fat-inducing carbohydrates, such as maltodextrin. Instead, only the best carbohydrate macronutrients are used, such as trehalose, palatinose and dehydrated cane juice. Together, these advanced nutrients provide a stable infusion of carbohydrates to bodily tissues and are perfect for both short and long-term replenishment of the body’s glycogen stores. As can be seen, MacroPro™ is the ideal nutritional beverage for inducing optimal physical performance and recovery. This one product provides superior results, superior convenience and superior economics. THE PROBLEM: Protein powders that are low in quality, contain fat-inducing maltodextrin, taste horrible, require a blender to mix properly and contain only one very fast-acting protein. No doubt that most of these products are cheap, but who wants to gag something down day after day that’s neither convenient nor beneficial? 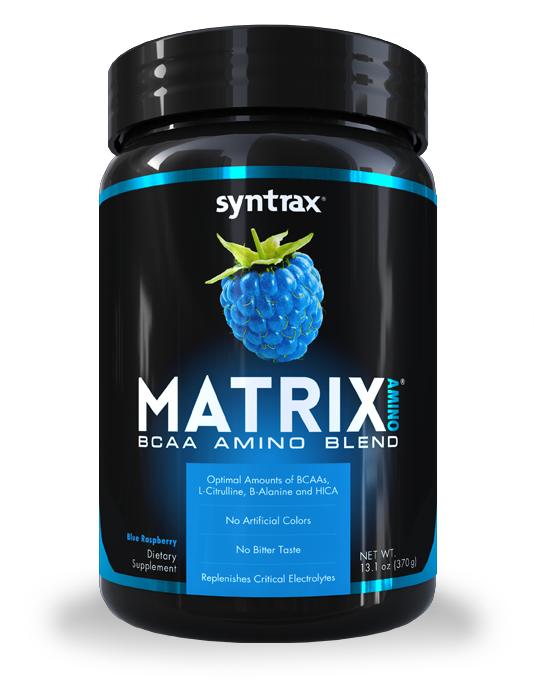 Matrix® Amino is the most comprehensive and effective amino acid supplement available to athletes. No other formula contains the high quantities and precise ratios of muscle-supporting amino acids, such as leucine, valine, isoleucine and HICA (the leucine metabolite that is 4 times as strong as leucine at only ¼ the dosage). Matrix® Amino also contains a powerful dose of citrulline and beta-alanine to maintain optimal blood flow, muscle pump, and muscular endurance during intense exercise. Finally, a healthy dose of hydration-promoting electrolytes are included to help athletes power through every workout. Unlike other amino acid formulas that are bitter and extremely unappetizing, Matrix® Amino tastes nearly identical to pure, refreshing fruit juice… but without the sugar. Since all flavors contain only natural and healthy food colors, you never have to worry about the ill-effects of synthetic chemicals created in a lab. 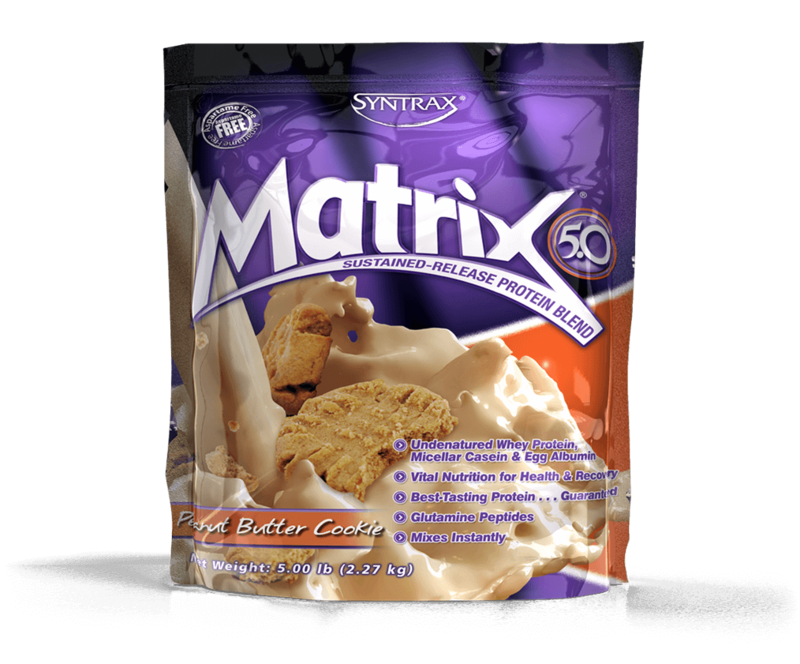 Each and every flavor of Matrix® Amino is a culinary work of art that is designed to make you say, "WOW"! Being the major protein in milk, casein is one of the highest-quality proteins known to man. Unfortunately, inferior processing techniques can alter or denature this superior protein. Denatured caseins, such as sodium and potassium caseinate, dominate the marketplace but are devoid of the best qualities that make pure, native casein so wonderful.  Native casein, also known as micellar casein, is a special product produced in the absence of high heat and caustic chemicals through a gentle filtration method. It is easily differentiated from its denatured cousin by its superior, clean, creamy taste and ability to disperse instantly without becoming chalky or thick. In addition, micellar casein has superior health-inducing properties by optimizing muscular and whole-body recovery and repair. 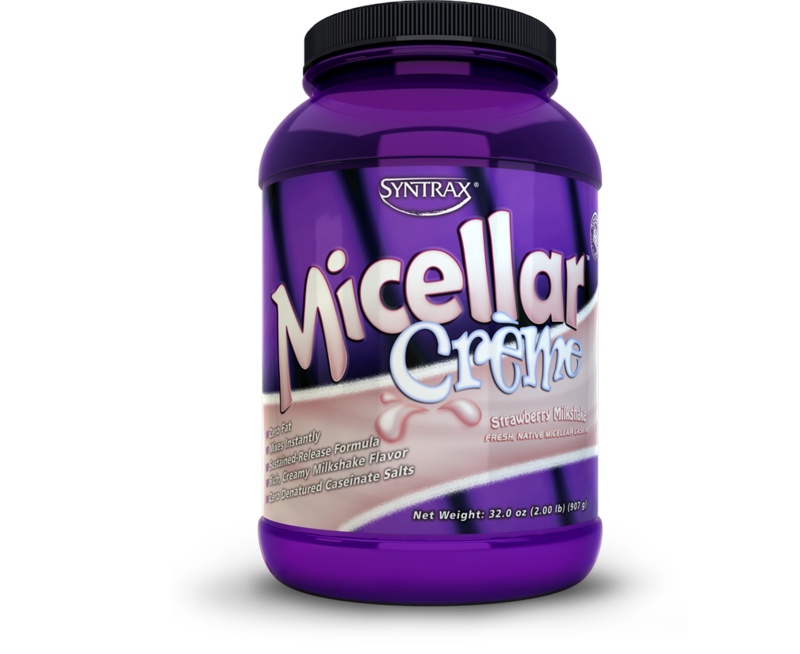 Micellar Crème™ is the epitome of excellence for a casein protein product. It contains fresh, native micellar casein that is not tainted with inferior caseinate salts. Micellar Crème™ mixes instantly with a spoon, has a creamy, smooth mouthfeel and tastes just like a real milkshake. What’s more, we did something totally amazing by engineering Nectar® to be so delicious that you can eat it right out of the container. Imagine putting a protein powder in your mouth and it tasting like candy. Imagine this protein powder having ZERO carbs and ZERO fat. Stop imagining! We’ve brought you Nectar®! 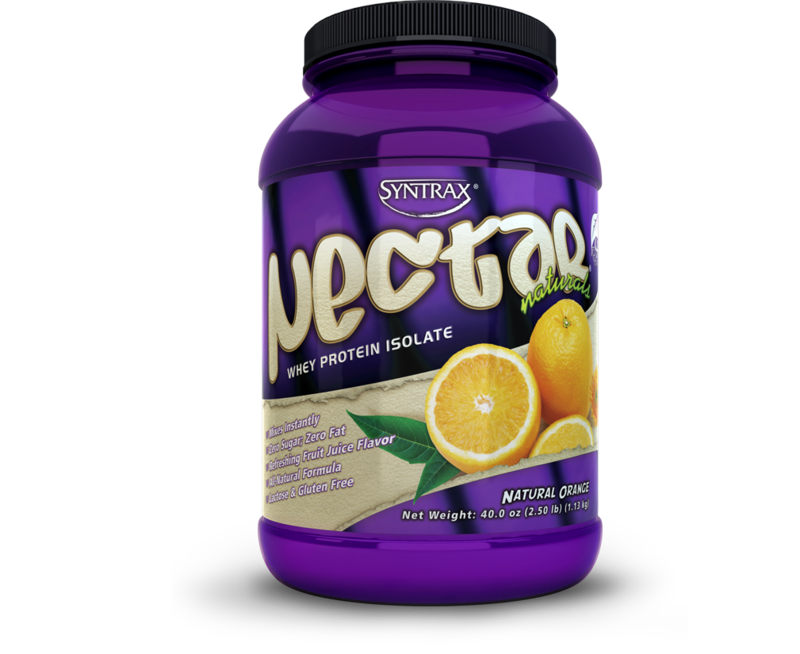 In the world of protein beverage powders, the name Nectar® signifies delicious fruit juice flavors. It means ZERO carbs and ZERO fat.  It means instant mixability when mixed with water. It means a pure flavor with no strange aftertastes or hints of protein. 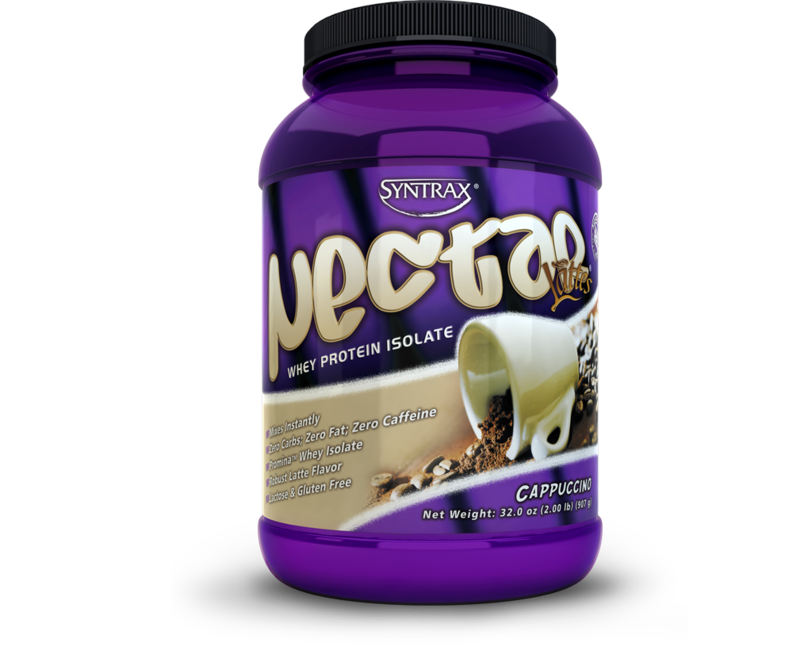 To put it simply, Nectar® is the de facto image of quality when it comes to protein drinks. 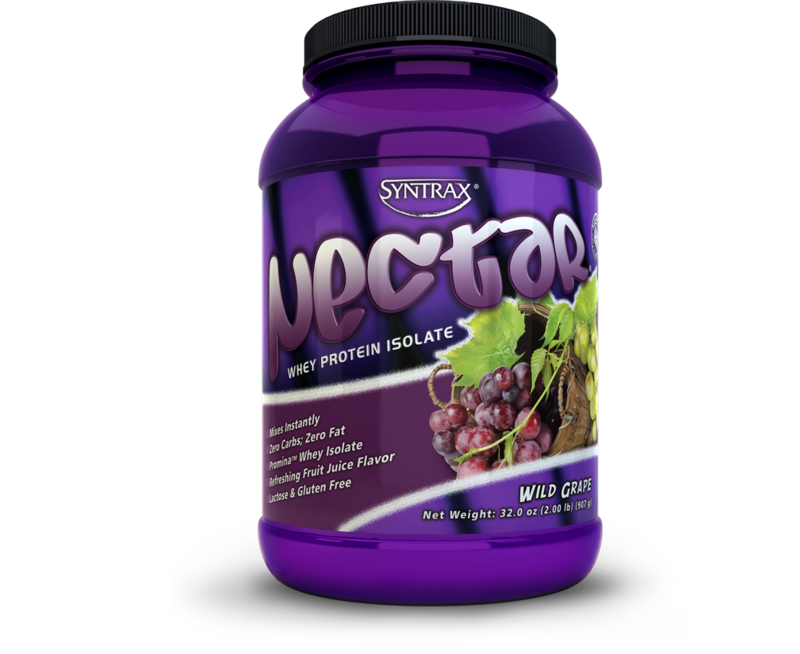 As the symbol of protein excellence, we did not want to limit Nectar® to only fruit juice flavors. We therefore researched long and hard to find other beverage flavors that would be perfectly compatible with the high quality standards that Nectar® has achieved. After much experimentation and discovery, we developed Nectar® Lattes. Flavors, such as Cappuccino, highlight the perfect success we had in developing these coffee-flavored protein powders. With all of the taste characteristics of a perfect latte and with no off-note flavors, Nectar® Lattes is sure to please the most discriminating coffee drinker. 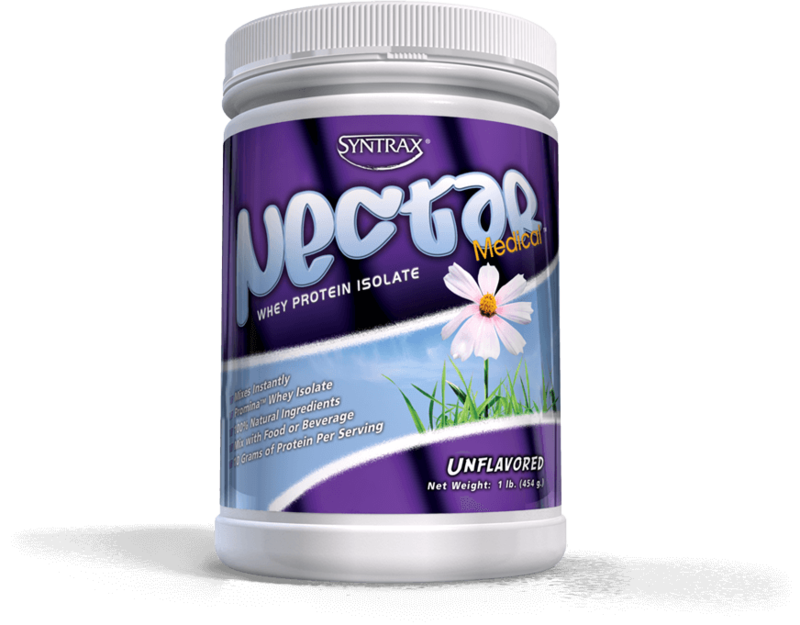 Nectar® Medical is a 100% natural protein formula designed to exceed even the most stringent and demanding requirements of the medical community. It is designed around Promina™, a superior-quality whey protein isolate that is known for its utmost purity, unwavering consistency and pleasant taste. Whey protein isolate is considered by many experts to be the single highest-quality source of protein for human nutrition. Its bioavailability is without compare and its amino acids are utilized more efficiently than any other source of protein. Because Nectar® Medical has a bland taste and is instantly soluble and dispersible, it can be mixed unnoticeably and easily into nearly any beverage or food item, such as milk, tea, juice, flavored water, cereal, soup, pudding or mashed potatoes. Likewise, Nectar® Medical is an ideal product to be used in tube-feeding applications due to its ease of use and health-promoting benefits. Nectar® Medical is specifically formulated to be used as a medical food for renal (dialysis) patients. Meeting the distinctive needs of these individuals, Nectar® Medical provides a superior protein source with low levels of potassium and phosphorous. Nectar® Medical is specifically formulated to be used as a medical food for bariatric surgery patients. Meeting the distinctive needs of these individuals, Nectar® Medical provides an easily digestible, superior protein source with low levels of fat, sugar and total carbohydrates. Reminiscent of times gone by, Nectar® Naturals conjures images in which man and nature reside in harmony. Toiling in the field with one’s own hands, cooking from scratch in the kitchen, picking and eating fruit fresh from the tree. Nectar® Naturals is the obvious, evolutionary progression of our flagship product Nectar®. Containing no artificial sweeteners, colors or flavors, Nectar® Naturals is designed for those who want only the highest-quality ingredients. Nectar® Naturals . . . from nature . . . bringing you back to nature. To ensure that Nectar® Naturals tastes every bit as good as regular Nectar®, we reformulated and drastically improved its sweetening system. No longer is there a slight, strange aftertaste that is typical of natural sweeteners, such as stevia. Working tirelessly over the past several years, we developed a proprietary, all-natural sweetening system that equals the sweetness and tastiness of real sugar. What is missing? Only the negative health effects associated with sugar's consumption. Nectar® Naturals is now so perfect and delicious that it is available in six amazing flavors . . . Natural Fruit Punch, Natural Orange, Natural Peach, Natural Chocolate, Natural Strawberry Cream and Natural Vanilla. Imagine what would happen if the Nectar® name, and the superior quality and taste that it symbolizes, was fused to sweet, scrumptious epicurean delights that a person might find in a high-end candy boutique or bakery. The result would be an irresistible protein shake with ZERO carbs and ZERO fat that would be an absolute pleasure to consume. Good news is now at hand! No longer do you have to imagine! We have taken all of the great things about the Nectar® product line and have combined them with amazing sweet flavors that are out-of-this-world delicious. Let us introduce you to Nectar® Sweets . . . the epitome of gourmet taste in the form of the healthiest protein drink ever created. As with the entire Nectar® lineup, expect the exceptional with Nectar® Sweets. Expect exquisite and full-bodied gourmet flavors; expect ZERO carbs and ZERO fat; expect instant mixability with only a spoon; expect the highest-quality Promina™ whey protein isolate; and expect an experience that makes you feel like you are on top of the world. SuperGLU™ is a 100% natural, ultra-pure, micronized glutamine powder. 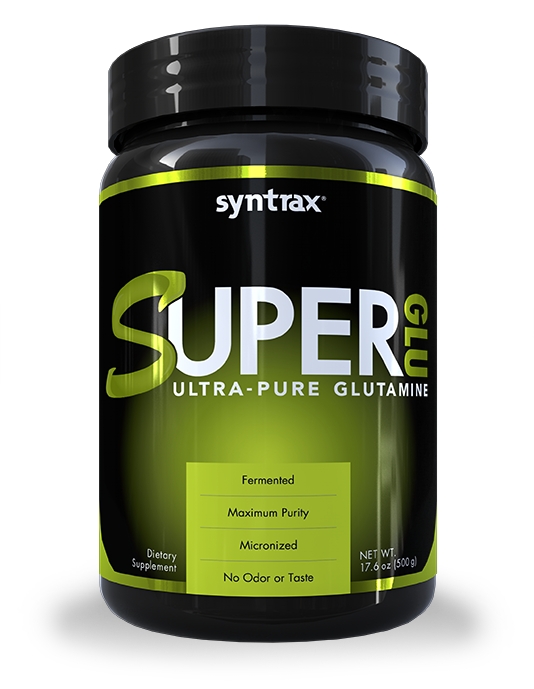 No other glutamine powder on the market matches the outstanding qualities of SuperGLU™. To put it simply, it is perfect! Gone are the days of synthetic glutamine with its peculiar odors and strange tastes. Gone are the days of synthetic glutamine with its unknown and potentially harmful impurities. Gone are the days of glutamine that doesn’t disperse and suspend instantly in solution. The superior manufacturing process of SuperGLU™ guarantees a product that is snowy white without off-tastes and odors. Improving the quality even further, SuperGLU™ is micronized so that each and every serving is a pleasure to take. If you’re using glutamine powder, make sure it’s SuperGLU™. Completing Trophix’s™ unique blend are whey protein, egg albumin and glutamine peptides. Whey is a fast-acting protein source which supports the immune system and supplies the body with tissue-building bursts of amino acids. Egg albumin is a well-rounded, medium-release protein that perfectly promotes the growth and maintenance of lean muscle tissue with its excellent amino acid profile and abundance of growth factors. Finally, glutamine peptides is a protein source unmatched in its ability to provide bioavailable glutamine, one of the most important building blocks in the human body. 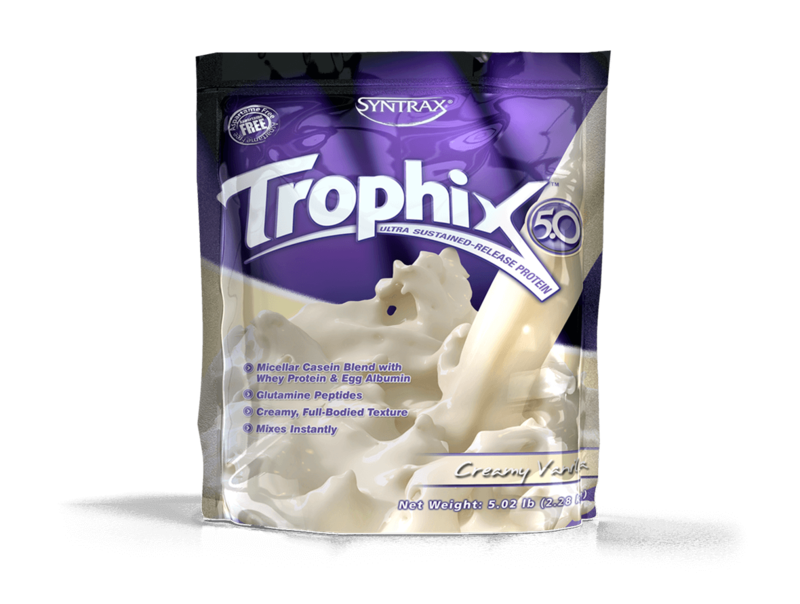 By imparting the unique benefits of these diverse proteins, Trophix™ is clearly the perfect protein powder to support both short- and long-term health and recovery. 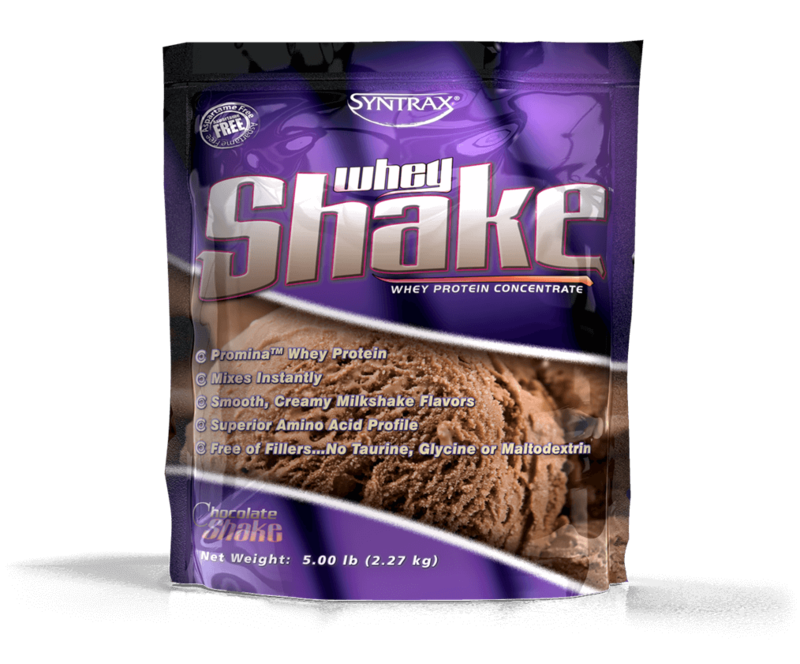 Whey Shake™ is the critically acclaimed protein powder that scores top honors for highest quality and best taste. To produce such a distinguished product, we had to use the very best and most refined ingredients, such as Promina™ whey protein. Cold filtered and undenatured, Promina™ whey proteins are painstakingly tested for consistency, flavor, protein content, and mixability. To this clean tasting, delicious protein base, we added glutamine peptides and the best extracts and flavors the world has to offer. The result is a product of the highest quality . . . a product with consistently correct protein levels, consistently superior mixability and consistently incredible taste. The painstaking quality control and attention to detail that goes into Whey Shake™ ensures that it will vastly outperform every other protein powder on the market. From deliciousness and mixability, to overall health benefits, to exercise performance and muscle growth, Whey Shake™ is guaranteed to be the new, unbeatable gold standard.